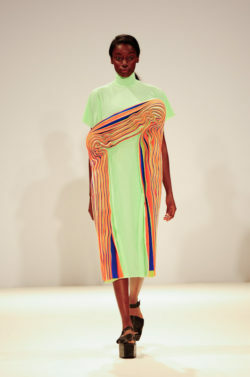 Sunday afternoon at Freemason’s Hall saw a showcase from the graduating students of the Swedish School of Textiles, as their exit collections were presented at the Vauxhall Fashion Scout. 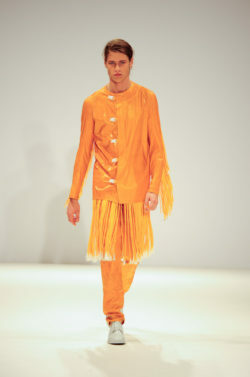 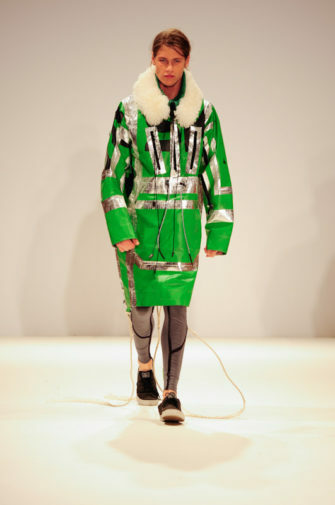 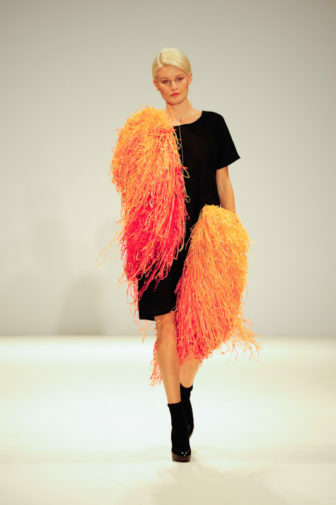 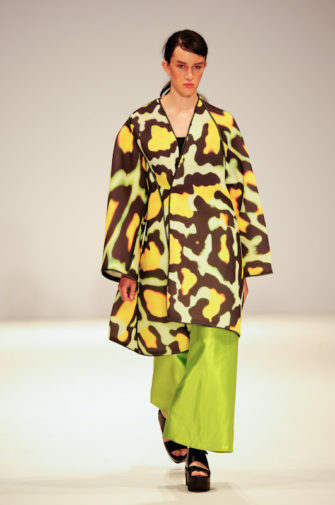 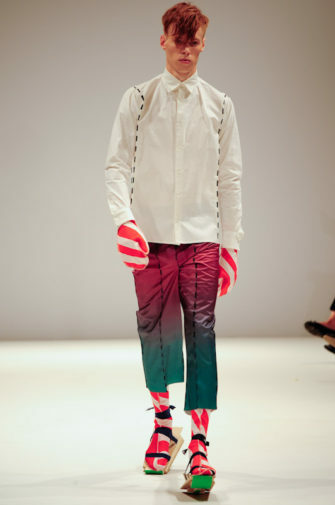 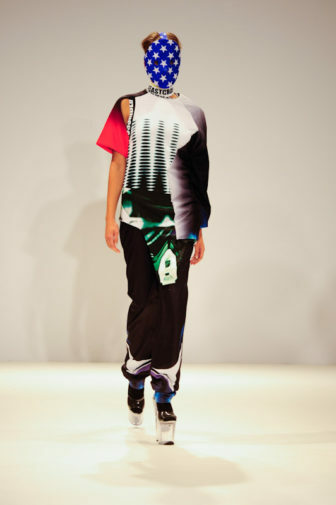 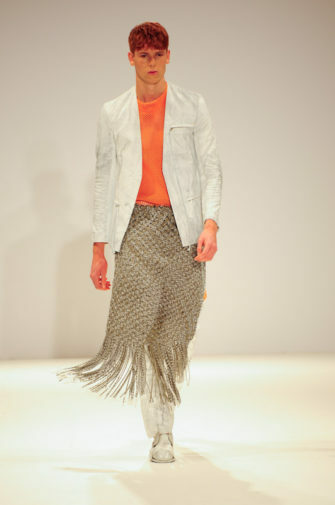 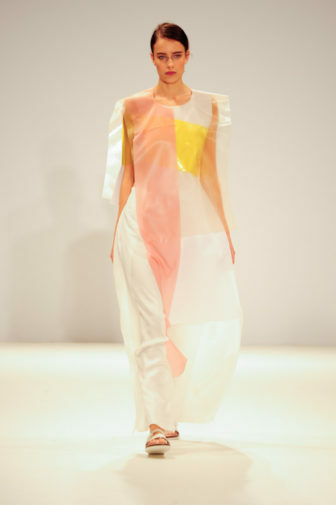 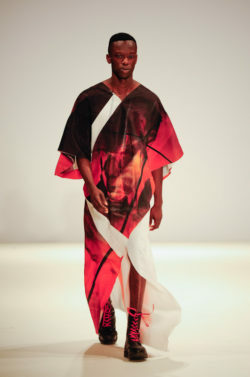 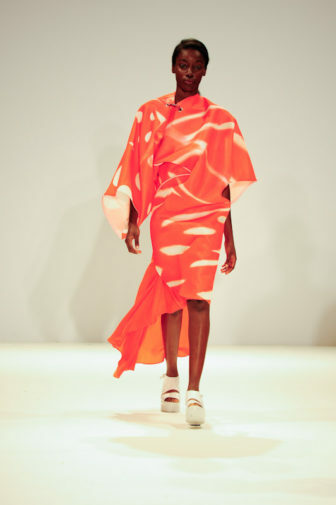 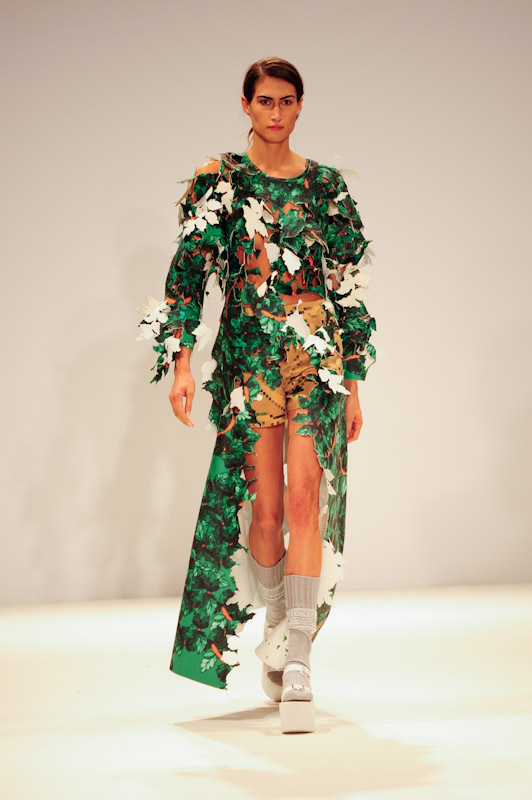 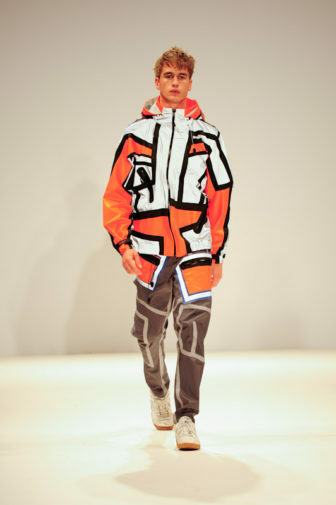 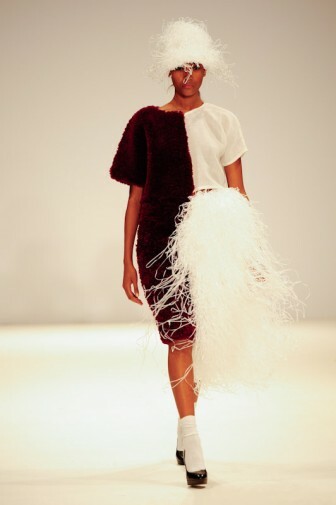 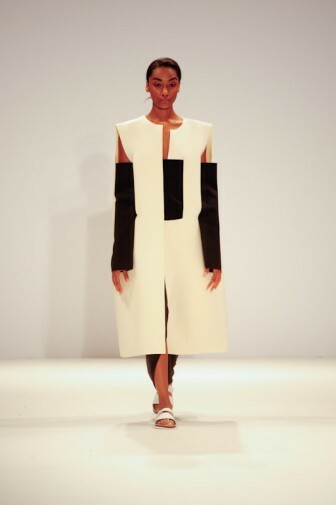 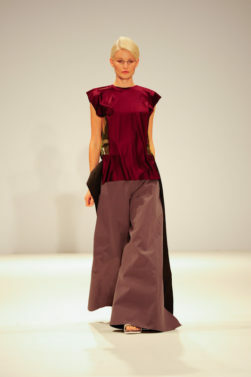 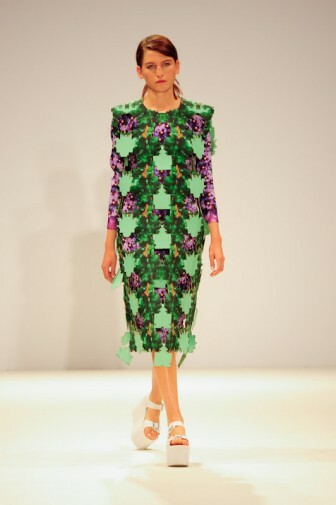 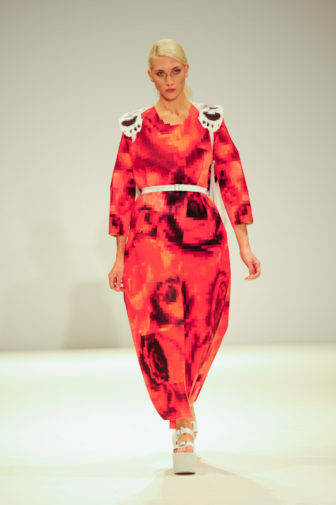 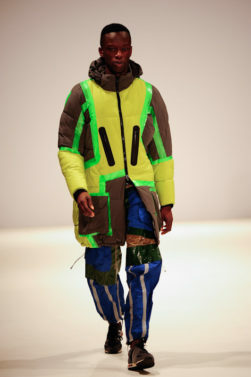 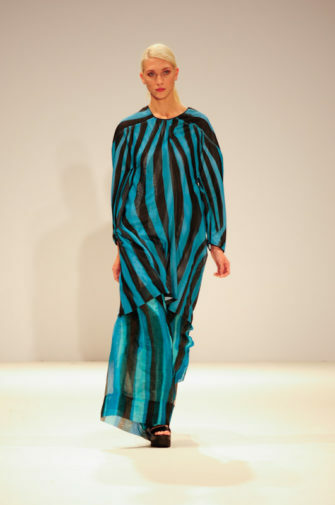 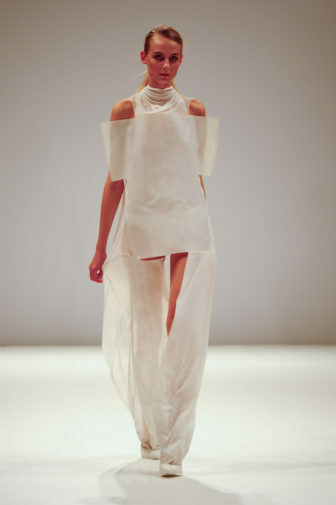 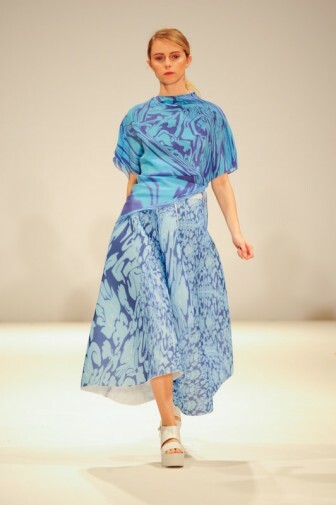 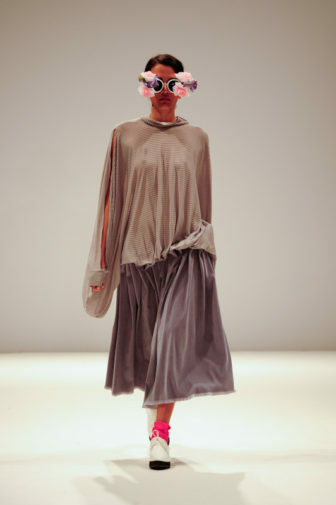 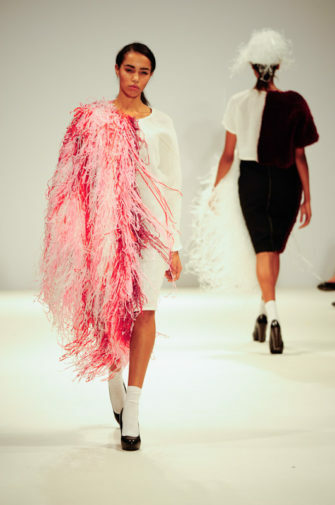 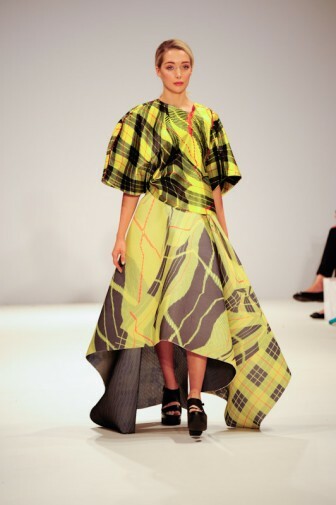 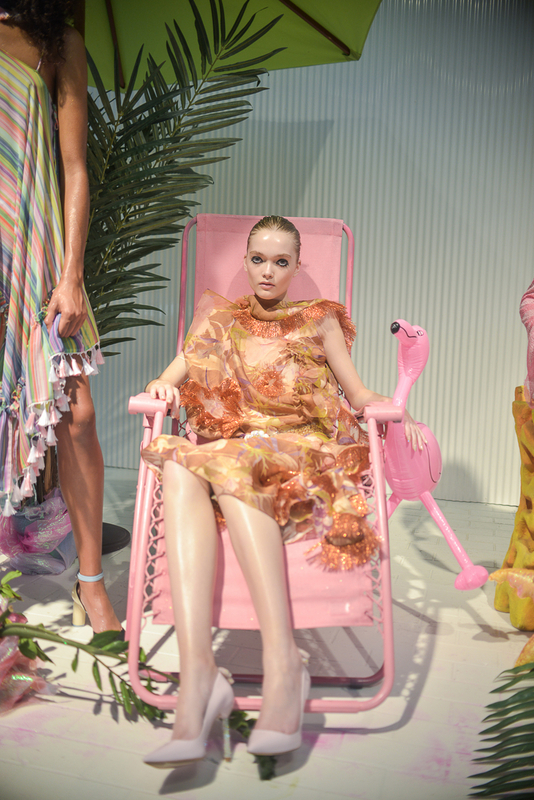 This is the fourth year in which the Swedish School have had the opportunity to showcase their work at London Fashion Week and some of the most fascinating collections of the season so far were shown off to an amazed crowd. 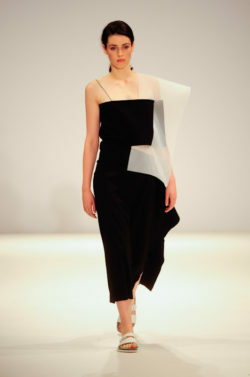 Some of the key questions asked by the students who were a part of the showcase included what methods should be used to make fashion renewable, and what methods are developed during a design process. 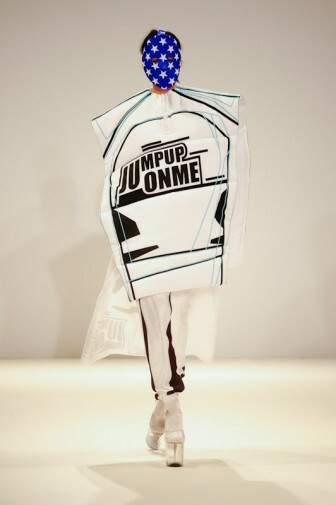 By drawing on these areas and combining them with their own experiences of their time at the school, the students managed to challenge the fashion industry and the norms that are associated with it. 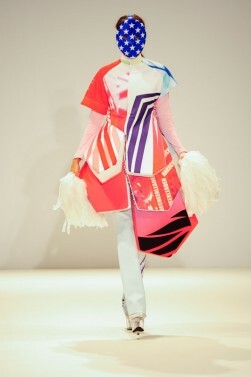 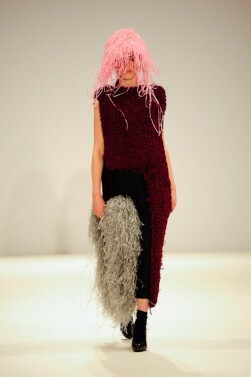 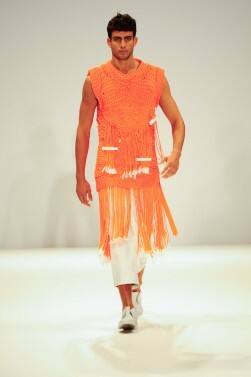 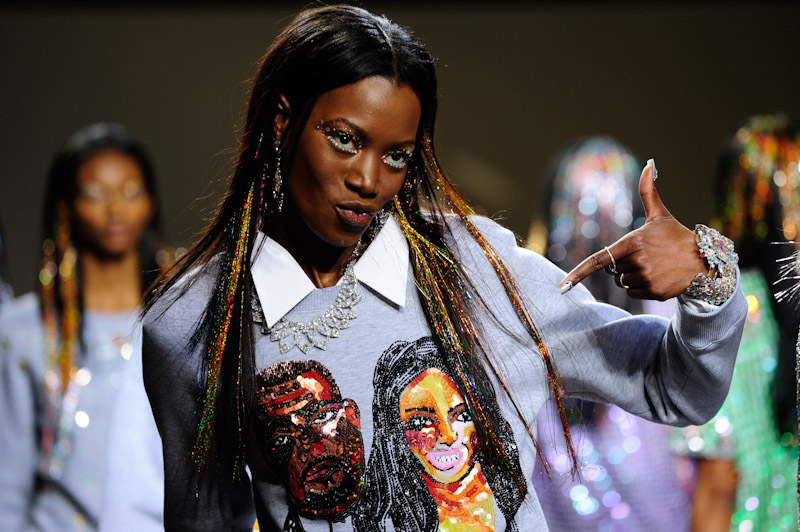 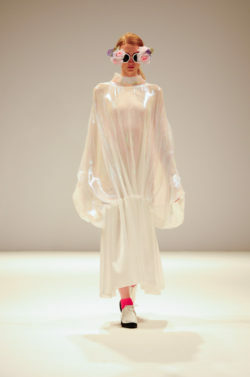 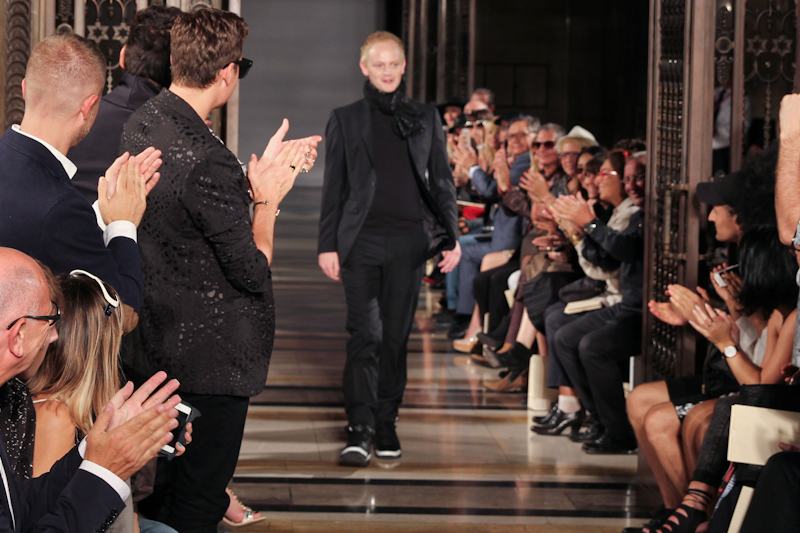 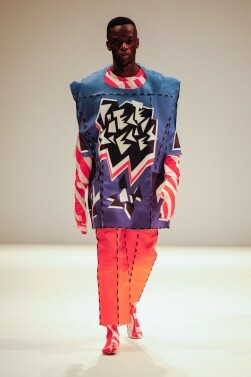 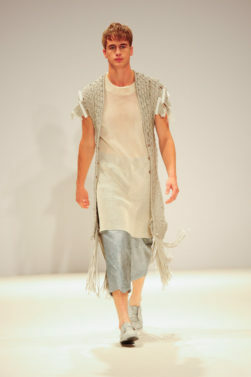 The show created a story within itself; with each of the students displaying their own take on fashion. 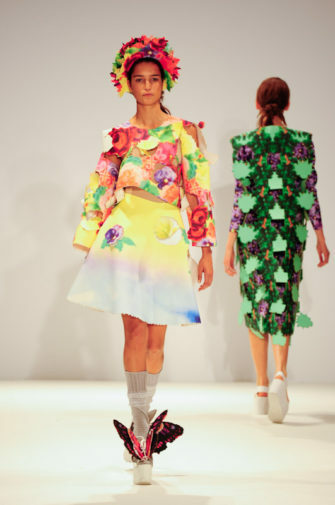 From folklore to fruit-inspired pieces, to cheerleaders and clothing made from duct tape, the students had really worked hard to achieve truly unique looks. 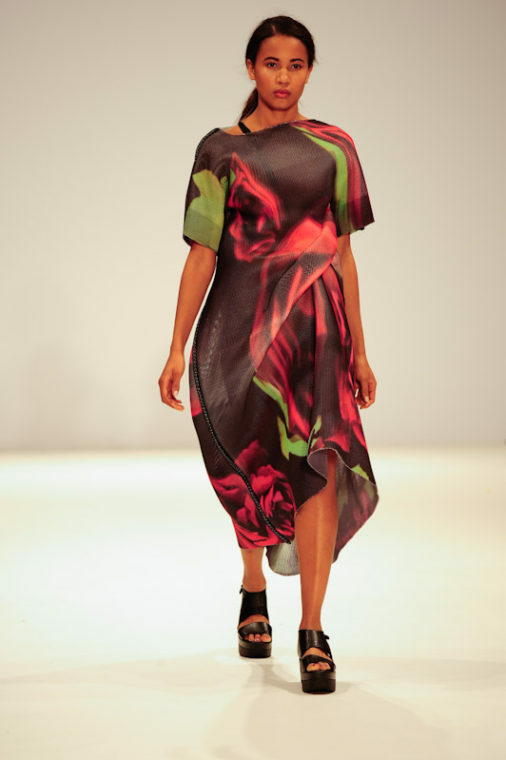 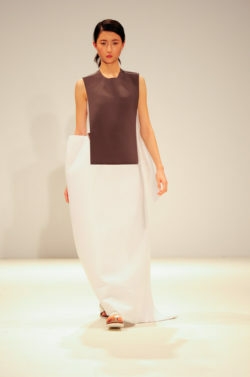 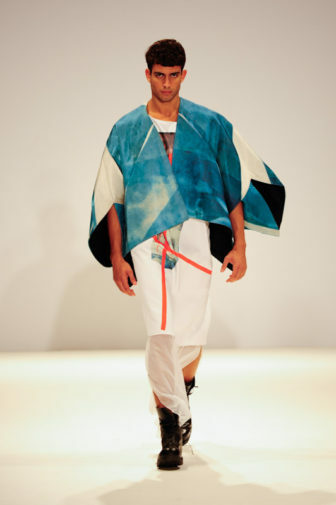 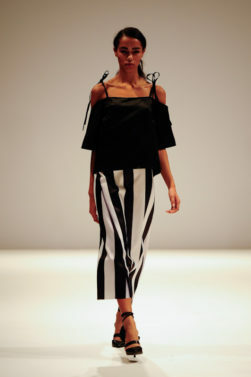 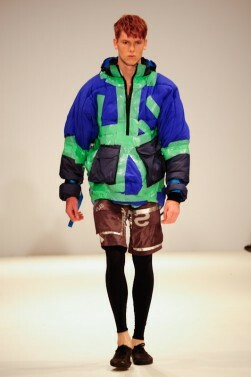 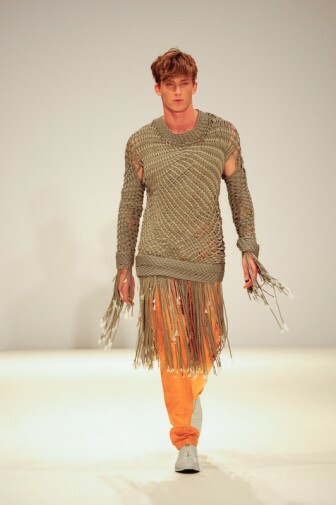 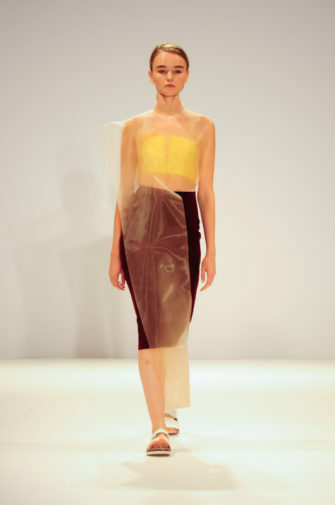 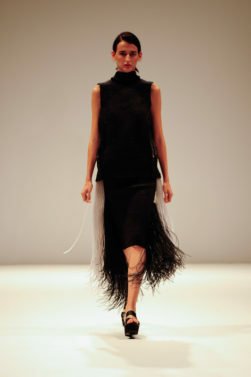 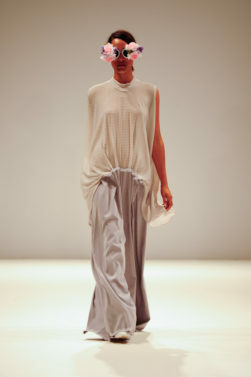 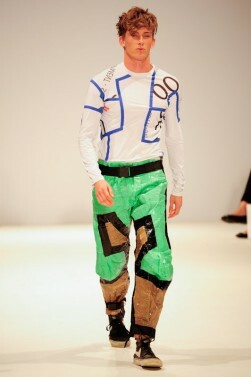 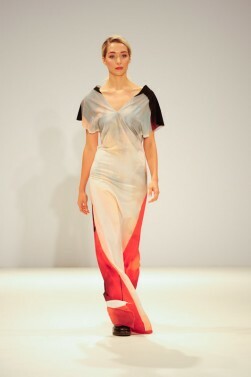 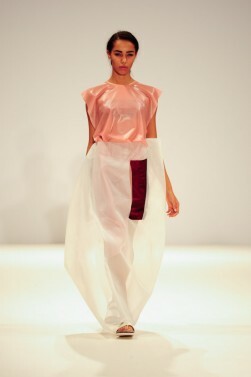 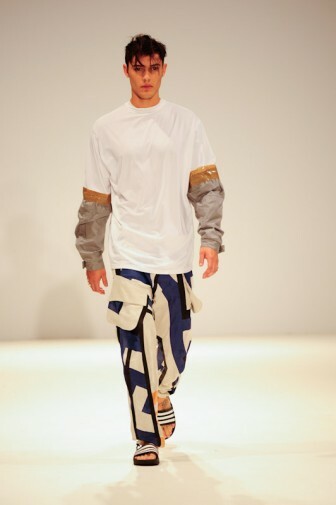 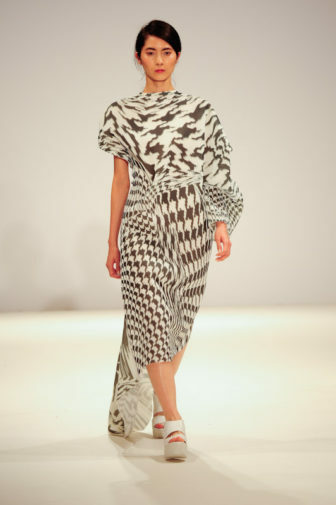 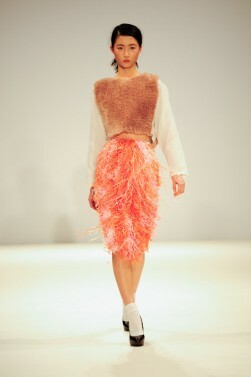 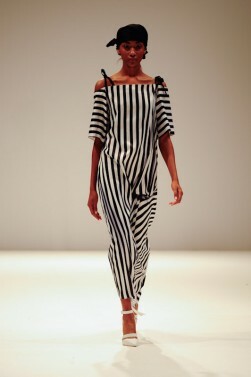 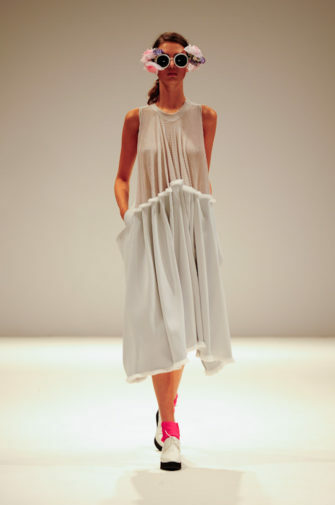 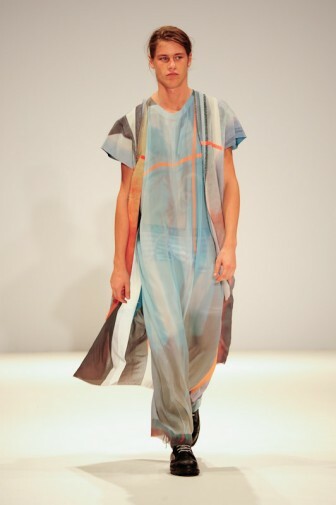 Stand out collections came from the likes of Felix Roll, whose collection focused on the freedom of movement. 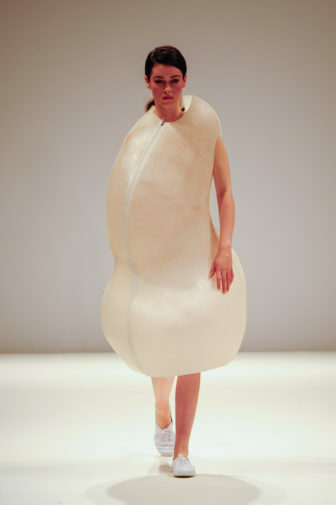 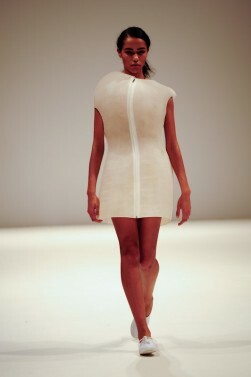 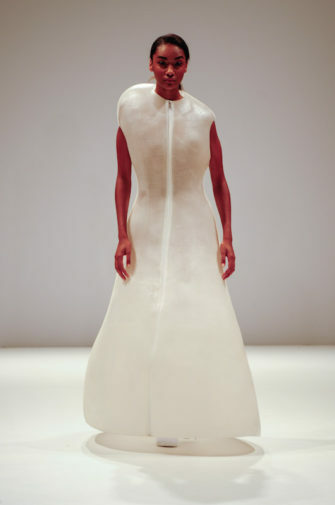 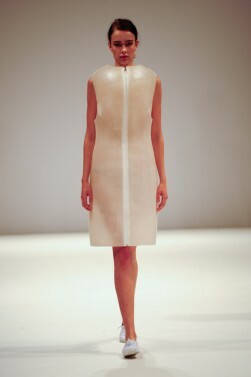 The collection of white dresses made from an unusual choice of material focused on the body being a tool in the development of a dress. 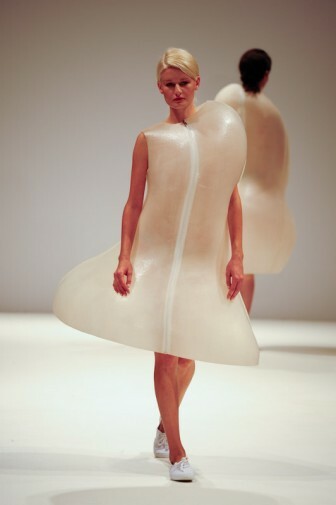 Placing emphasis on different areas of the body, Roll had manipulated the shape of the dress several times to develop new ways of design. 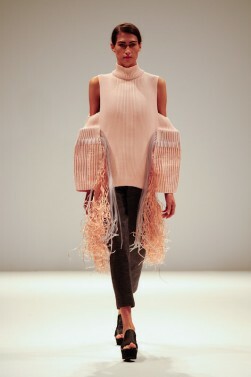 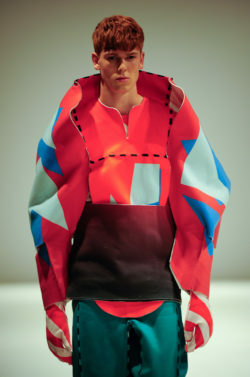 Anna Johansson’s 3D-2D-3D collection was a pleasant escape from the wackiness of some of the pieces. 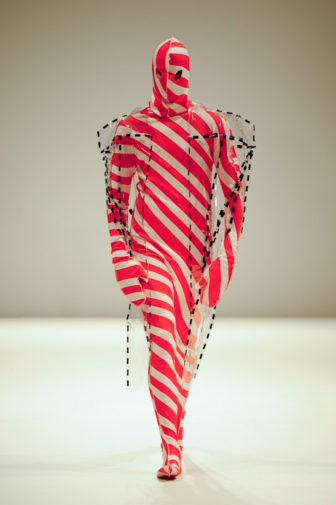 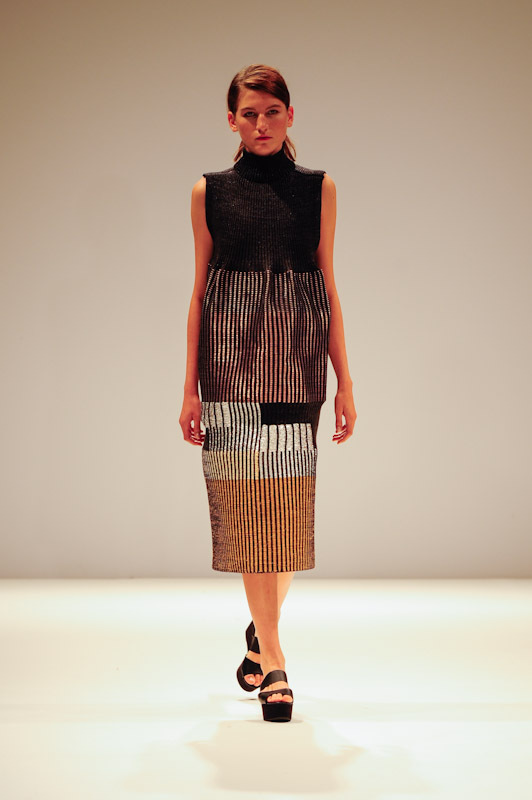 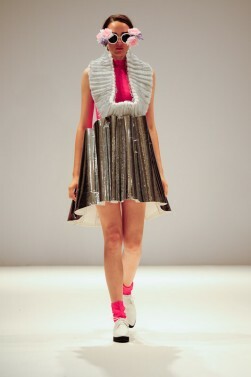 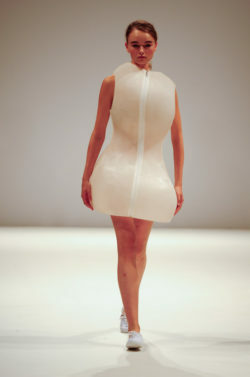 Her take included exploring how to create a 3D effect on a 2D dress. 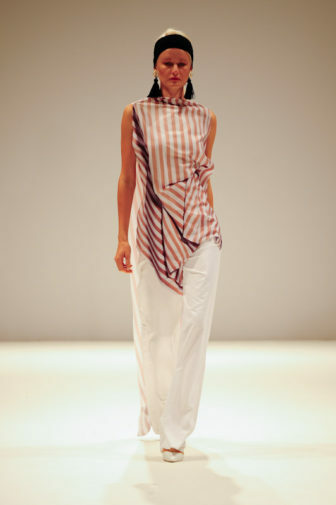 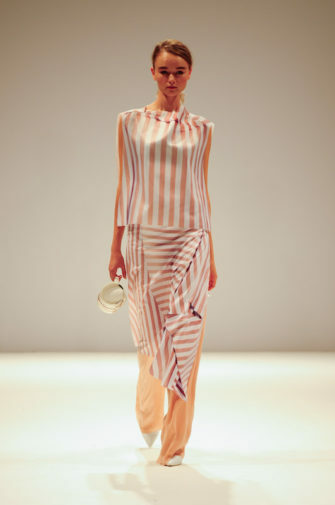 Beautiful drapes were a focus in the collection, and a use of pink, white and black stripes added towards her three-dimension effect. 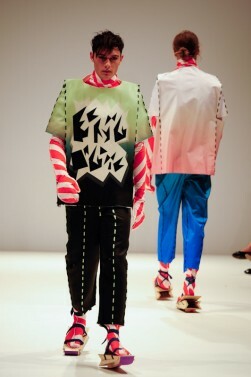 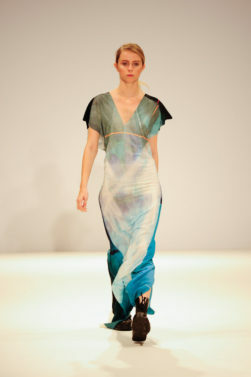 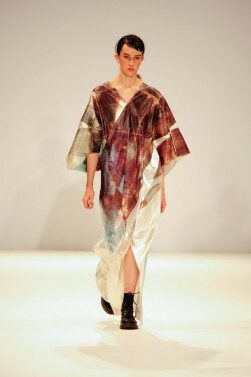 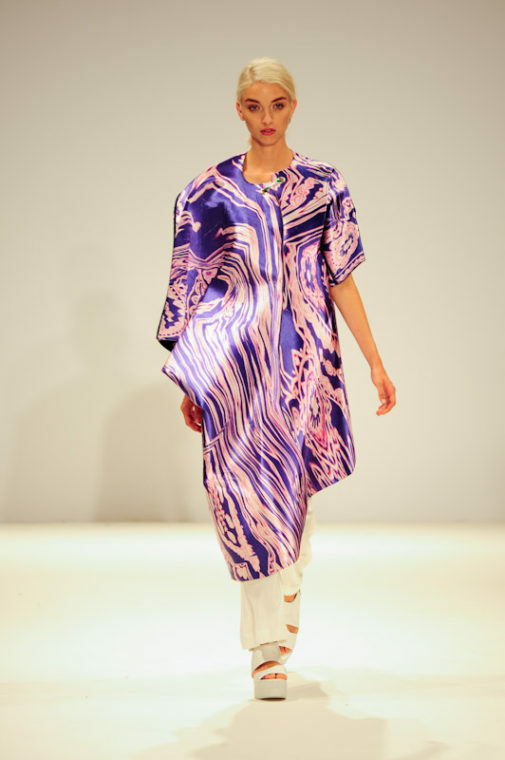 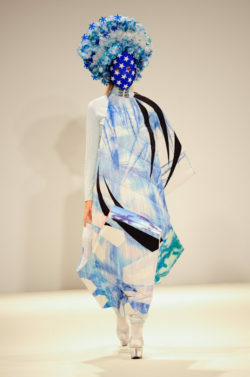 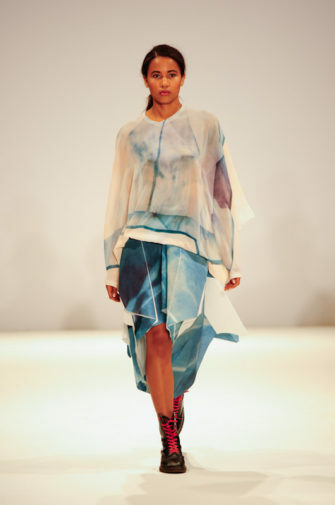 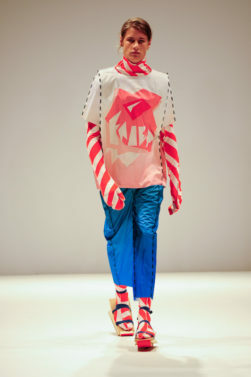 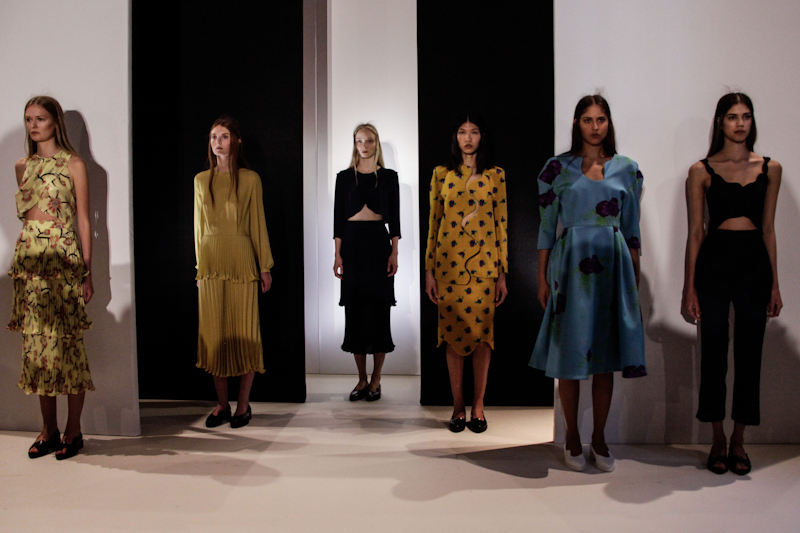 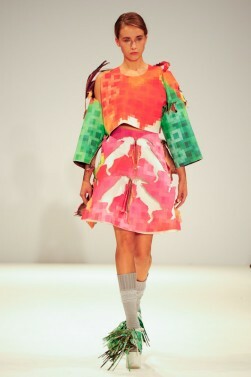 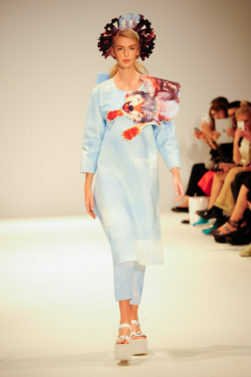 Quickfix, the collection presented by Johanna Karlsson, was designed to create new expressions in printing. 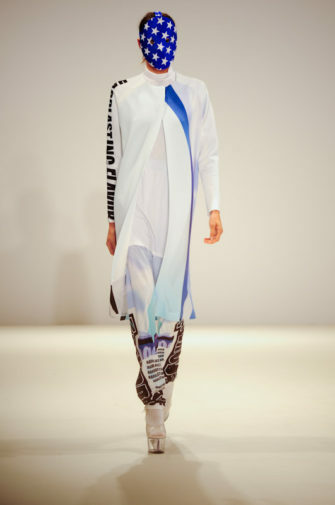 By combining cut-out techniques with transfer printing, she was able to create a visual representation of folklore through a somewhat futuristic, digital approach. 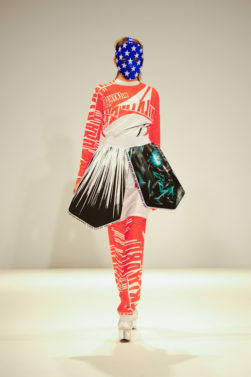 A backpack, in the shape of a huge bear was the stand out for her collection, as well as her pieces which featured digital cut outs of animals. 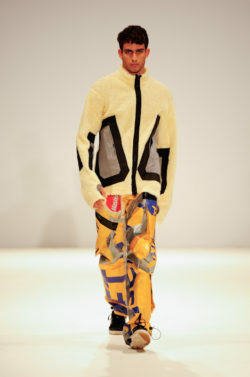 Overall, the talent of the students was overwhelming and we will be sure to see more of their work in fashion weeks to come.